May 12, 2011 - The Office of Inspector General plans to review the Federal Aviation Administration's (FAA) process for reporting and mitigating the risk of operational errors by air traffic controllers. OIG is conducting this review at the request of the Chairmen and Ranking Members of the Senate Committee on Commerce, Science, and Transportation and its Subcommittee on Aviation Operations, Safety, and Security as well as the Ranking Member of the House Transportation and Infrastructure Subcommittee on Aviation. While the United States has the world?s safest air transportation system, operational errors, which occur when a controller fails to ensure the required separation distance between aircraft, remain a significant safety concern. For example, on January 20, 2011, an operational error led to a near mid-air collision between an American Airlines plane carrying 259 passengers and 2 U.S. Air Force planes near New York City. The Boeing 777-200 operating as American Airlines Flight 951, N766AN and a flight of two US Air Force C-17s, operating as Thug11, were transiting through New York Air Traffic Control Center (ZNY) airspace, when the flight crew of both flights received a Traffic Collision Avoidance System (TCAS) alert. AAL951 had departed John F Kennedy International Airport (JFK) southeast bound for Sao Paulo, Brazil (SBGR/GRU) climbing to FL220, and THUG11 had departed aerial refueling area (AR777), from the south east, heading North West bound for McGuire Air Force Base (WRI), New Jersey, descending to FL220, on converging courses. At approximately 80 miles southeast of JFK, the aircraft received TCAS alerts and at the same time the two separate air traffic controllers received a conflict alert. The airplanes responded to their TCAS directives, and both controllers immediately provided traffic advisories and turned their respective aircraft to resolve the conflict. The airplanes came within approximately 200 feet vertical and .84 miles lateral from each other. 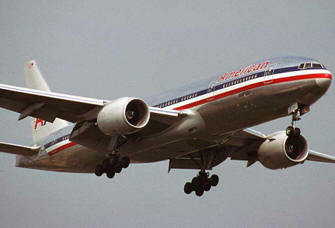 The American Airlines was on a regularly scheduled passenger flight from New York, NY to Sao Paulo, Brazil. THUG 11 had been operating in a military aerial refueling area (AR777) and was returning to McGuire Air Force Base (WRI), New Jersey. No injuries were reported on either flight. The event occurred during night time under VMC. The Federal Aviation Administration (FAA) statistics show that the number of operational errors increased over the past year, from 1,234 in fiscal year 2009 to 1,887 in fiscal year 2010. According to FAA, this increase is mostly due to the introduction of voluntary, non-punitive safety reporting, such as through the Air Traffic Safety Action Program (ATSAP). In March 2011, the Chairmen and Ranking Members of the Senate Committee on Commerce, Science, and Transportation and its Subcommittee on Aviation Operations, Safety, and Security as well as the Ranking Member of the House Transportation and Infrastructure Subcommittee on Aviation requested that OIG review FAA?s process for reporting and mitigating the risk of operational errors. Specifically, they expressed concerns about the accuracy of the reported number of operational errors, the causes for the significant increase in this number, and the related safety implications. The FAA recently implemented the System Loss of Standard Separation (LoSS) Index, a new process designed to capture each incident where 2 aircraft fly closer than separation standards permit. The new tool calls for the investigation and analysis of all separation losses, not just operational errors. Pilot deviations or miscellaneous losses such as emergency descent for pressurization are also included. Instances of non-compliance with separation standards will be called LoSS. The Chairmen and Ranking Members also requested that OIG review FAA?s implementation of ATSAP, which FAA established to encourage air traffic facility employees to voluntarily report safety and operational concerns. Specifically, they questioned whether FAA is using the program, how ATSAP impacts the number of operational errors reported, and if it is capturing errors that could lead to breakdowns in safety. OIG will initiate two audits that will evaluate the effectiveness of FAA?s policies and processes for the new LoSS Index and whether FAA is using LoSS to (1) collect, measure, evaluate, and report separation losses and (2) mitigate those risks and the FAA?s implementation and oversight of ATSAP. OIG will begin both audits the week of May 9, 2011.